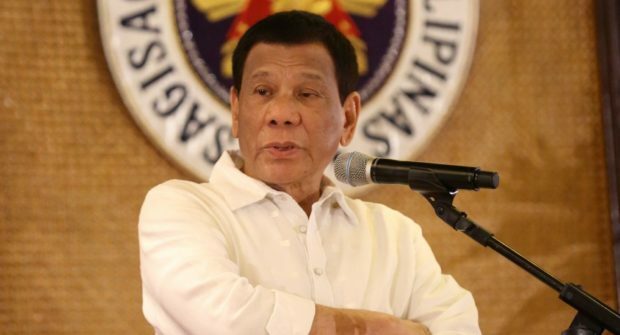 President Rodrigo Duterte on Monday said he had yet to decide whether or not he would push for another extension of martial law in Mindanao. “The papers have not yet been submitted to me,” Duterte told reporters in an interview in Malacañang. But he said he would discuss the matter during the Cabinet meeting on Tuesday. Duterte made the announcement after Gen. Carlito Galvez, chief of staff of the Armed Forces of the Philippines (AFP), said the military would want another one-year extension of martial law in Mindanao. The Philippine National Police (PNP) would also want the extension, according to Director Gen. Oscar Albayalde, PNP chief. Duterte declared on May 23, 2017 the whole Mindanao region under martial law after the Islamic State-inspired Maute Group laid siege on Marawi City.